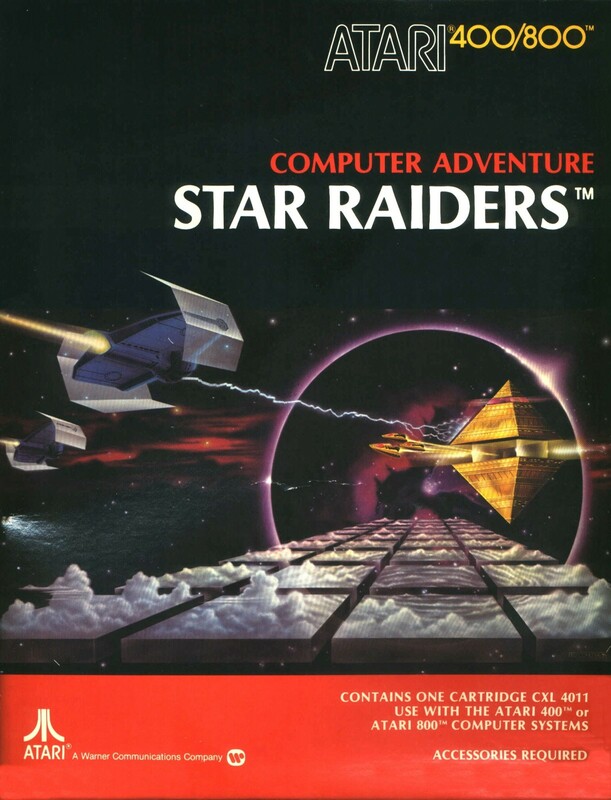 RetroGeeker: LucasArts Says "No More Games"
Ah, Disney. 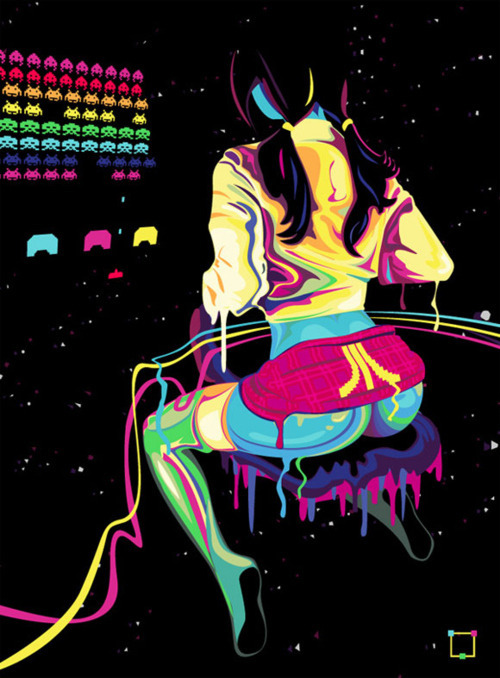 You great absorber of American cultural icons. First the Muppets, then Pixar, later Marvel and now of course, Star Wars. And while just about everyone on the planet is excited about the prospect of a stream of new Star Wars films coming our way, the bajillion-dollar buyout was not without its casualties. 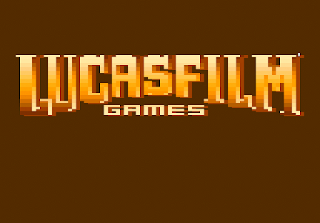 Specifically, I'm talking about the LucasArts game division, known for such retro classics as 1990's The Secret of Monkey Island, 1992's Indiana Jones and the Fate of Atlantis and 1995's Full Throttle. 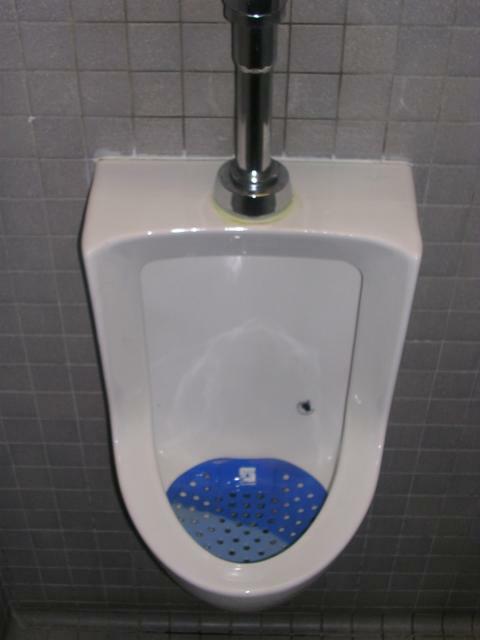 For whatever reason, Disney has put the kabosh on the long-time producer of video-tastic hits and game-horrific misses, and in doing so has killed off an American institution that has been chugging along since before your mama was knee-high to a cocktail arcade machine. The story of what most folks call LucasArts actually begins around 1983 after a successful joint venture between Lucasfilm and Atari which produced the quarter-sucking-classic Star Wars: The Arcade Game. Back then, Star Wars ruled the universe and every kid alive wanted a piece of that laser-blasting action. So for years, the video game industry (along with the movie industry, TV industry, etc.) shamelessly ripped-off the look and feel of Star Wars as much as possible, often without even trying to hide it. 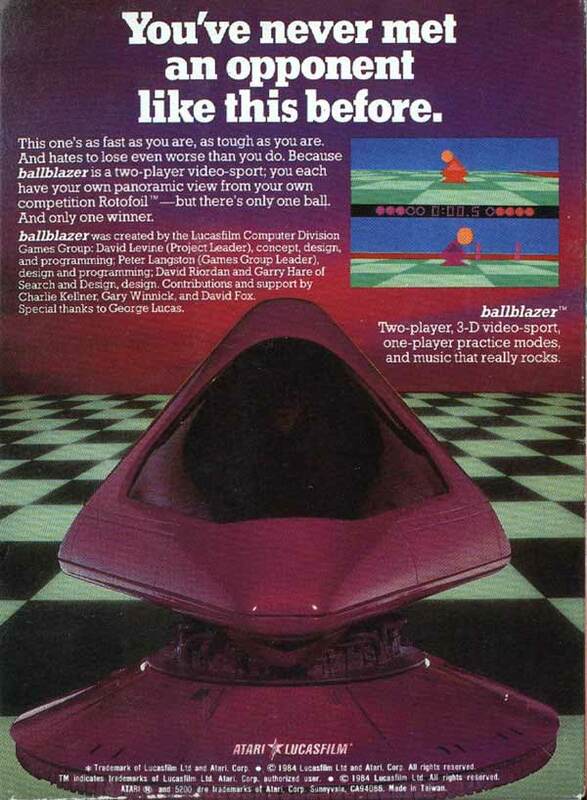 Realizing the massive potential for profits to be gained from expanding into other media outlets, and having tasted extraordinary success with their earlier venture into the arcade, Lucasfilm teamed up once again with the other "ruler of the universe" of the time, Atari, to help them with their foray into the world of video game development. The result of this second collaboration was the formation of Lucasfilm Games, which would eventually be reorganized into the gaming division of LucasArts Entertainment Company in the early 1990s. 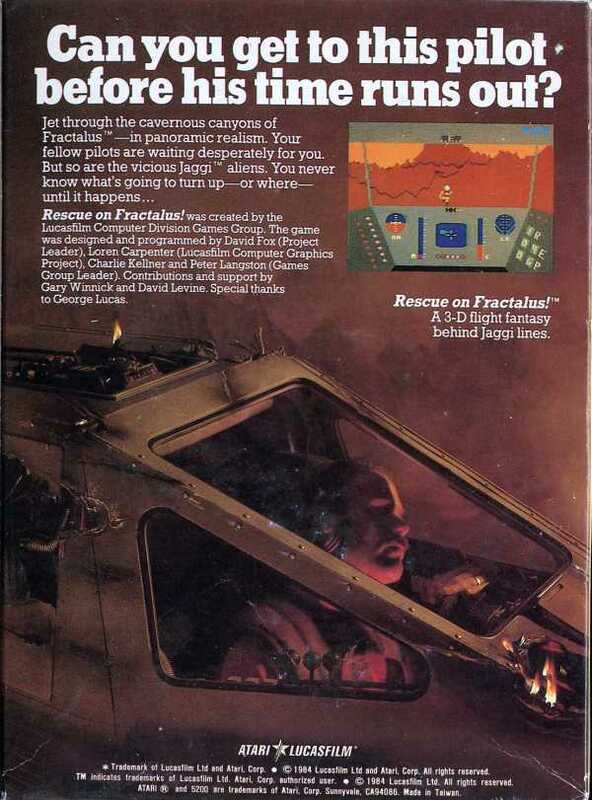 So in 1984 with the fresh smell of success of still under their noses, Lucasfilm Games blasted out of the gate armed with two now-classic 8-bit games that pushed the boundaries of what was then thought possible with 48K of RAM and a 1.79 Mhz processor: Ballblazer and Rescue on Fractalus. 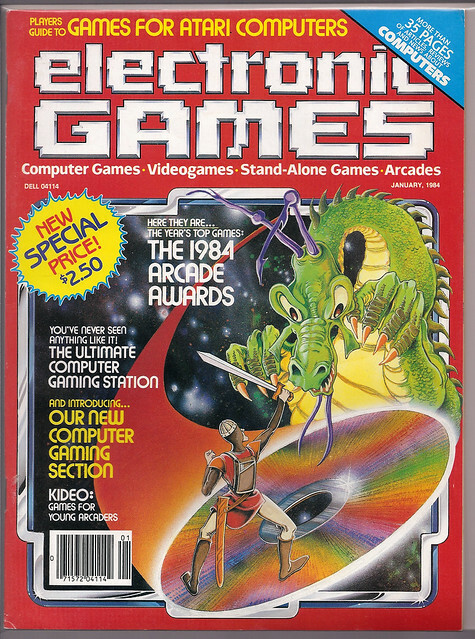 If you aren't familiar with either of these ground-breaking games, do yourself a favor now and head on over to Atarimania.com where they've posted hi-res scans of the original Electronic Games Magazine article from 1984. It's a fascinating and informative read for any retro-gamer or Lucasfilm fan.